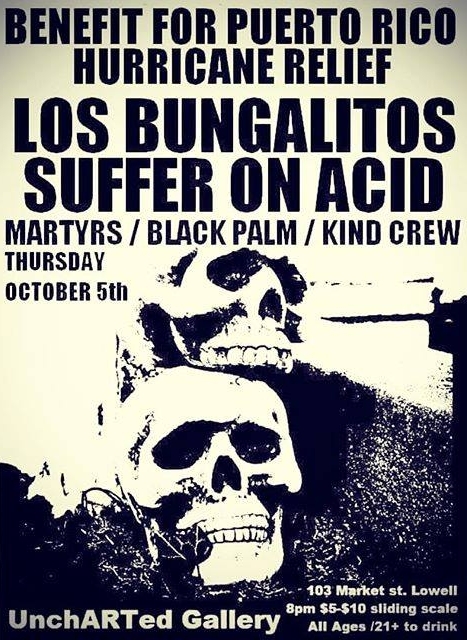 October 5th - Lowell, MA @ UnchArted Gallery w/ Suffer on Acid, Martyrs, Black Palm, Kind Crew. PUERTO RICO BENEFIT SHOW! 9pm. All Ages. Donation at the door. 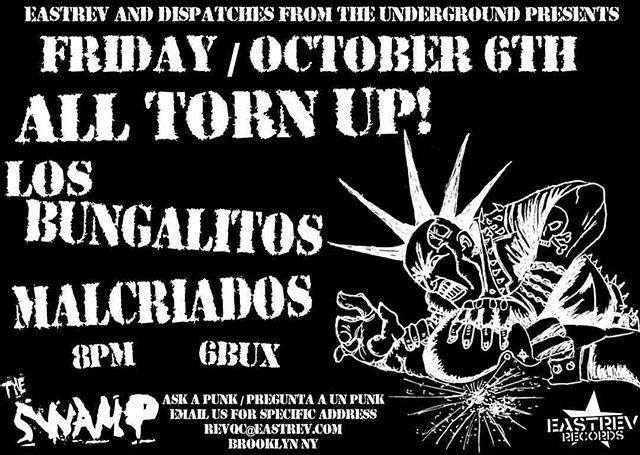 October 6th - Brooklyn, MA @ The Swamp w/ All Torn Up, Malcriados. 8pm. All Ages. $5. Ask a punk. October 7th - Chicopee, MA @ Maximum Capacity w/ Goblet and Maniacal Violator. Free show. 21+. 9pm.